Right now I am reading . 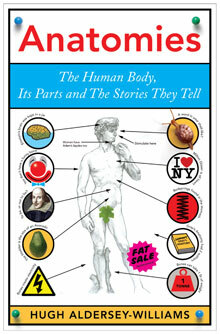 . .
One thing on my reading list for this week is a book called Anatomies: The Human Body, It’s Parts, and The Stories They Tell, by Hugh Aldersey-Williams. On Saturday I went to the pre-release party for the Saving Seeds anthology. A chapter from Blood Rain is included. It looks great! When the actual book release party is scheduled, I’ll update here. Ditto when there are actually copies available for sale.